I've been helping my girlfriend learn to sew. We started with some simple hand stitches and she recently progressed to using the machine, much to her delight! 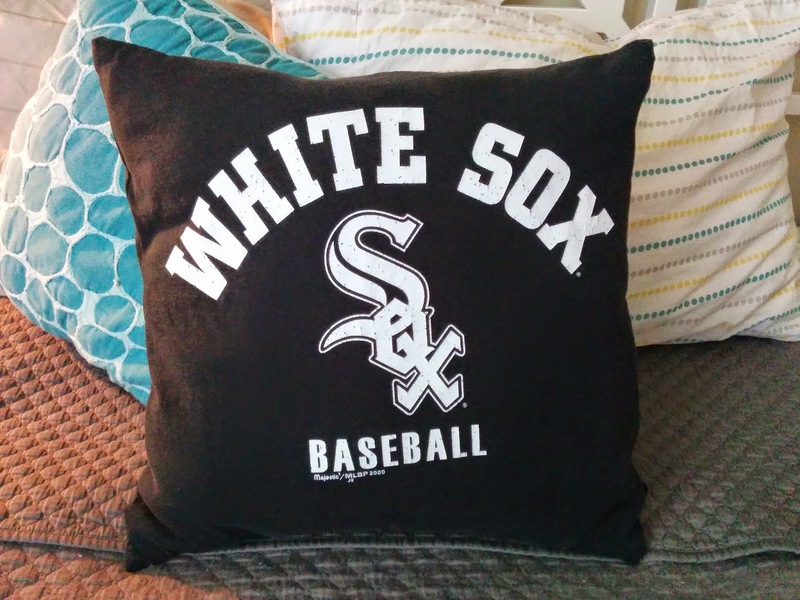 An old T-shirt was renewed as a throw pillow slipcover. This project is very suitable for beginners. 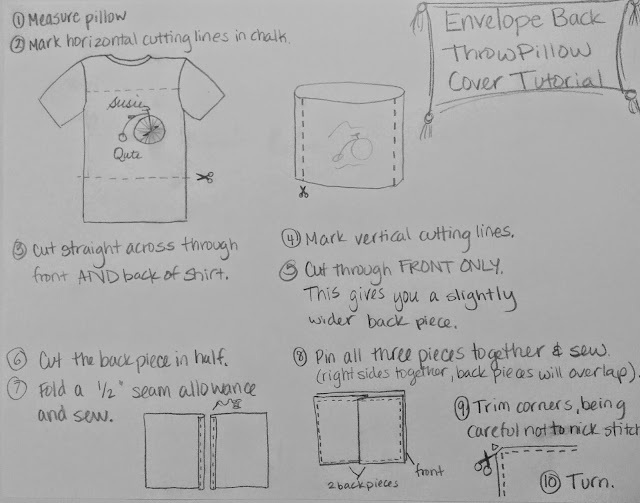 See my previous post on upcycling tees into a tote bag for tips on sewing with knits. 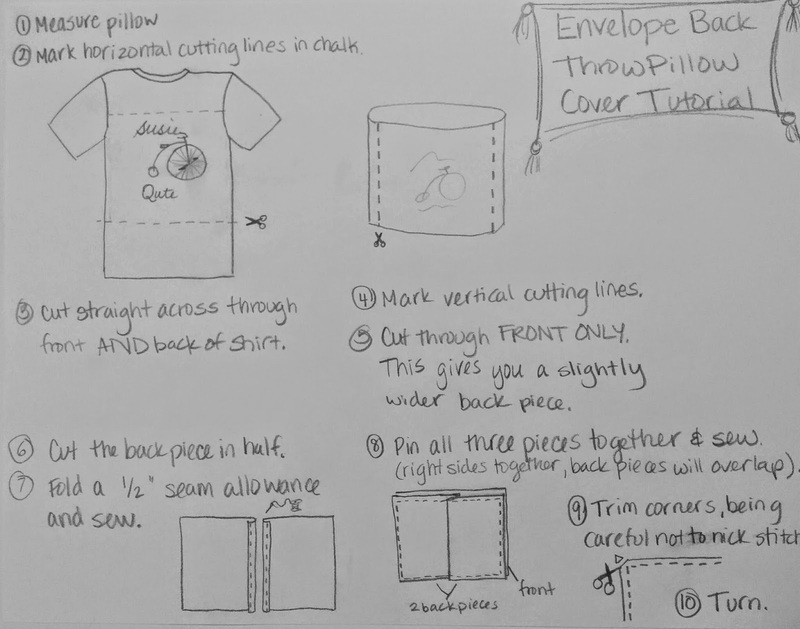 Sewing tip: when you turn corners of sewing projects inside out, use something narrow and pointed, like a knitting needle, to push the fabric into the corner and make nice, sharp corners. p.s. I'm not taking a side in favor of the White Sox. I'm not much of a sports fan, but if I had to pick, I suppose I'd say GO REDS!